SO what does this TEAM look like? This is a TEAM of HIGHLY accredited, awarded, well known and knowledgeable full time working pros working with you PERSONALLY no matter what your photographic level! 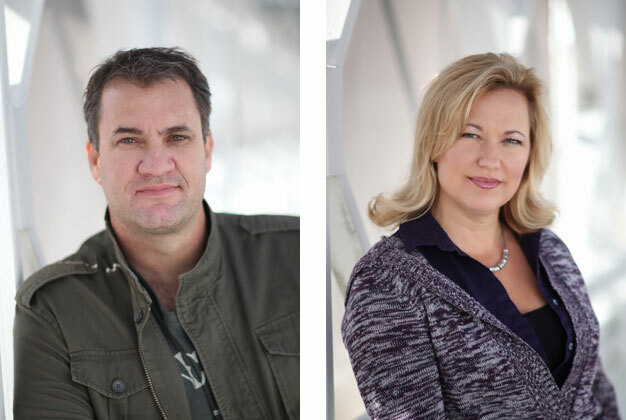 Quite simply, there is not another photographic resource that has the experience of this synergistic team that has come together! 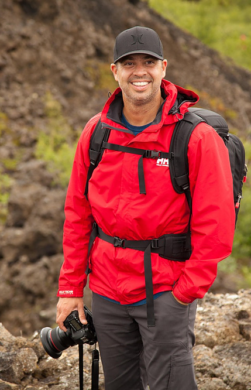 David is a co–founder of McKay Photography Academy and McKay Photography Inc. He has been a professional photographer for 30 years starting his first photography studio at the age of 17. David has received some of the highest photographic awards in the world including the prestigious Master of Photography, Photographic Craftsmen and Certified Professional Photographer degrees from Professional Photographers of America- the LEADING professional photography organization in the world. He has had several images awarded from PPA including “Loan Collection” images that are considered to be the best of the best in the professional photography industry. Having taught on some of the largest stages in the industry, to thousands of people, both professional photographers and amateurs alike, he has a passion for photography and teaching. He believes just being a great photographer does not make you a great teacher and that the ingredients of both emotion and skill must be shared and taught. David shares his love and enthusiasm wherever he goes and many of you can attest to this. 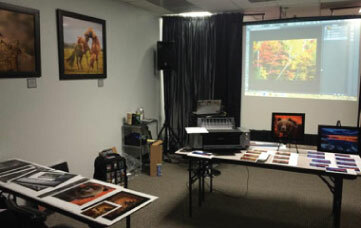 You may also know David from his #1 International Best Selling photography book series,“Photography Demystified”. Each of his 3 books in the series has shot to #1. Currently, David is preparing for his 4th book, aimed at helping kids and their parents enjoy photography together, to be released late this year. 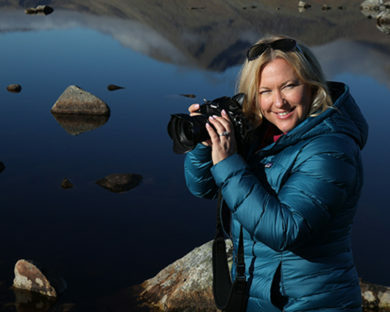 Ally is a co–founder of McKay Photography Academy and McKay Photography Inc. She has also been a professional photographer for 30 years starting her career at the age of 17. Ally graduated with honors and at the very top of her class from Glen Fishback school of photography in 1988, one of the top photography schools in the nation up until Mr. Fishback’s passing in the 90’s. Ally received her Master of Photography from Professional Photographers of America a year ahead of David which of course David was proud of, but forced him to acknowledge she was a Master first! Ally’s images have been awarded at the highest levels including “Loan Collection” images from PPA and the very prestigious Kodak Gallery award. Ally feels most at home with a camera in hand and in nature. Her gentle spirit and demeanor make her a perfect patient instructor and many women find they connect with her because of this. Nick also started his career at a young age having begun his career as a production assistant, photographer/videographer, lighting director and arts director ALL by the age of 17! Nick has already established himself and his own company –Nick Sharples Productionsas a force to be reckoned with. Nick has been with MPA since it’s very first days back in early 2011 and is an original MPA team member. Nick handles all of the logistical needs for MPA tours and manages all aspects coordinating logistical needs for the MPA clients. He is dedicated to the MPA philosophy and is dedicated to making sure clients are well informed and taken care of in regards to all things travel related. He is an awesome part of our team, and it is a value knowing that you have someone personally to talk to in regards to your travel needs. Nick also films and produces videos for MPA as he is such a talent when it comes to producing high quality films. Nick’s production company is responsible for handling Seniors Ignite, the top Senior High School photography event in the U.S and he is a seasoned portrait photographer as well. Toby is the founder of Photorec.tvand the incredibly popular,Photorec Toby YouTube channel. Currently with over 200,000 subscribers, Toby is known throughout the world as a leading photography educator. In fact, it is not uncommon for people to recognize him on the streets of most countries we visit! His channel is one of the top photography YouTube sites in the entire world and his incredible knowledge of gear has made him a huge asset to the MPA team. Do you shoot Sony? No problem, How about Canon or Nikon? No problem. Have a question on the latest lens? No problem. Toby spends his days when not traveling with MPA learning and reviewing all of the latest gear and creating awesome educational content for his channel. 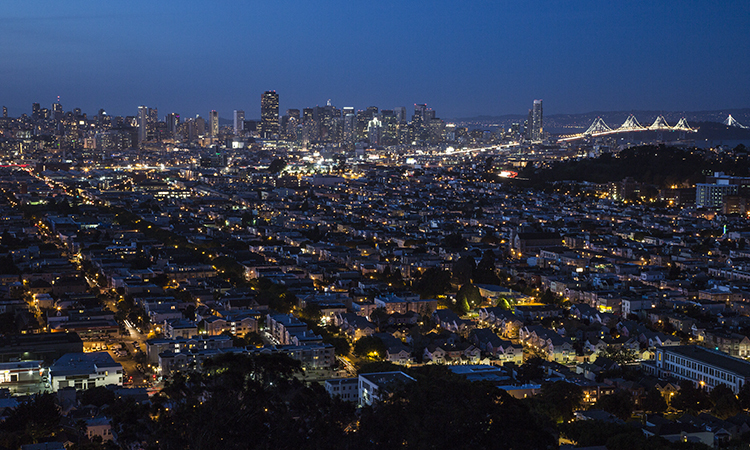 Toby is a phenomenal photographer and loves shooting as much as teaching. Especially the stars on a clear night! 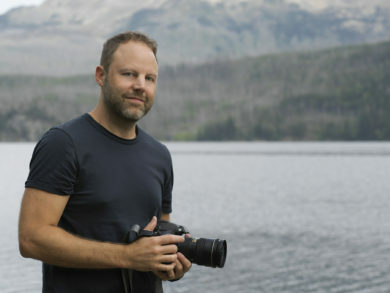 Steve Scurich is the owner of Steve Scurich Photography and is a graduate of McKay Photography’s Pro Academy. He is the newest member of the team and has an infectious passion for the craft and education! Steve is an award winning photographer and has photographed several multi-million dollar real estate sessions including many celebrity homes. As a child growing up in Santa Cruz, CA, Steve loved art. He could draw pretty well, took up photography during his high school years, and was told by many teachers he had an artistic gift. Steve appreciated the compliments, but it was a calling he largely ignored as he pursued a career in business. 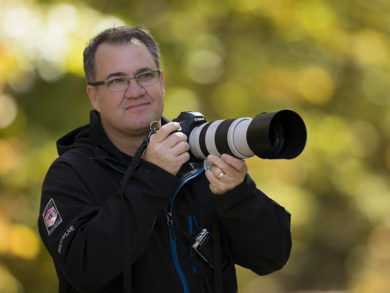 After receiving a Bachelor of Science Degree from University of the Pacific, Steve spent nearly two successful decades in the corporate world, before starting his own photography company in 2013. Getting started, he used to say, “I’m a corporate guy who had a desire to become a professional photographer.” However, this was not actually the case. Truth is, he had always been an artist and spent years trying to fit into a mold that just didn’t quite work. Today, he can really appreciate the marriage between his artistic expression and years of training in the business world. Steve is an excellent communicator and educator. Plus he is just an all around nice guy! His photography career has taken off and with good reason. 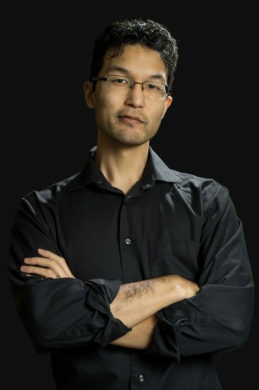 Kazuo Mayeda has been shooting and editing short films, featurettes, and web content since the age of 15. 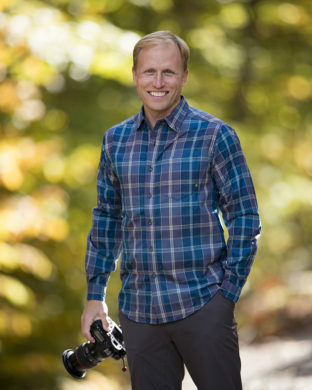 He’s worked multiple film productions as a videographer/editor and photographer for Imagos Films, Colorado State University, American Cancer Society and others. He also has experience setting up and running live streaming both with Master level content from CSU to variety shows on Twitch for Starr Mazer. Currently, he works with Toby and Photorec TV creating YouTube videos and various video productions in the Pacific Northwest. In addition to telling a story through video he also enjoys still photography specializing in a journalistic and event style. 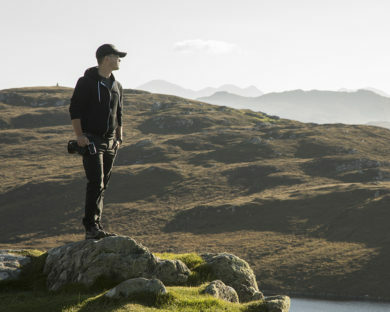 The bulk of his work revolves around Behind the Scenes of film productions documenting the cast and crew on location. You’ll never find Kaz without his trusty Sony mirrorless camera ready to record a video at 30 frames per second. If you ever want to dive into the world of movie making, Kaz can help you navigate the cameras, codecs, audio, stabilizers and software! David was born and raised in Atlanta, GA. Right out of high school found himself in a blossoming music career drumming for the band Third Day. For the next 24 years he toured the world and enjoyed so many amazing experiences, met so many incredible people and basically just never fully grew up! Interestingly, he has always been more of a visual artist than a musical one, so 6 years ago when he decided to really learn photography, it quickly became apparent to him that it would be his next career step. Since buying my first ‘real’ camera and quickly diving into the technical and aesthetic aspects of the medium, David has watched – year after year – his love and obsession with photography grow by leaps and bounds. David made the switch to full time photographer at the end of 2016 and is loving it! He enjoys working with people and though he has mainly specialized in portraiture for the bulk of his photography career, he just simply loves a great image -be it a landscape, a fine art image, or an editorial piece, etc. MPA is super excited to have our newest team edition, David Carr!